SYLVA, N.C. -- A park in Sylva, North Carolina, is closed until the 18 miles of trails can be checked for spikes deliberately placed by persons unknown. According to WLOS, a runner and a walker have both stepped on the spikes. City officials said a runner's foot was punctured, and he received medical treatment. In the second incident, the spike only went through the walker's shoe. Sylva Town Manager Paige Roberson Dowling said 30-something spikes were found over the weekend, and many more were found Monday as workers used metal detectors to find the nails. 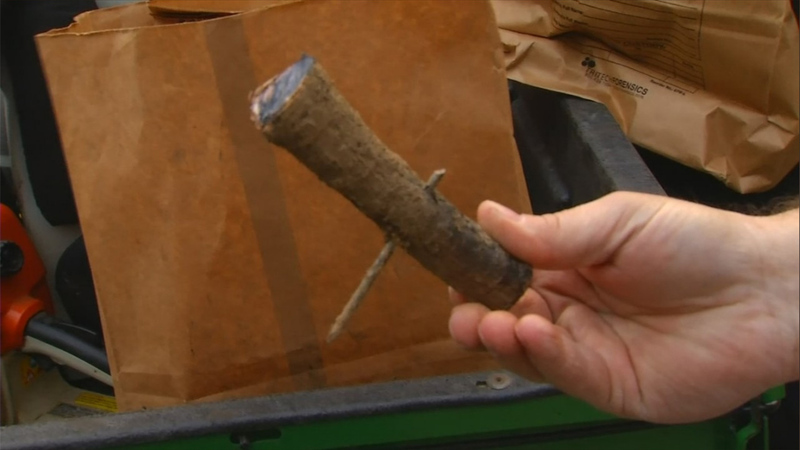 More than 60 nails in tree roots have now been found. "Someone deliberately put them there. It was a very mean and deliberate act," she said.